What Solar Options Are There? Rooftop solar systems are common because they make sense in many ways. Aesthetically, solar panels on the rooftop can be out of sight. They also don’t take up space you would normally use. Installing a rooftop solar array is a fairly common and quick practice these days as well. For many homeowners, rooftop solar is usually the way to go. But it isn’t practical for every home or situation. There are times you might need to look into other options. If you own a lot of land, it might be worth looking into ground solar anyway. You have more control over positioning your panels or even purchasing a tracking system. These moveable ground mounts follow the sun’s position in the sky, which can significantly increase how much power your panels produce. Better energy production means more energy savings sooner. Of course, you’ll need to compare these benefits with the added cost of ground mounts. These systems require more hardware and labor, including trenching from the system to your inverter and panel box. Our Energy Advisors can help you easily figure out what is best for you. Community solar allows people to go solar even if they do not own property on which to put their own system. Through a community solar project, participants benefit from one shared system usually located on a piece of land that is not necessarily owned by any of the users. The electricity generated generally costs less than the price participants would ordinarily pay to their utility. Community solar allows people to go solar even if they do not own property. There are a number of different ways that shared renewable energy can operate, each falling under one of two categories: ownership or subscription. The billing system that makes much of this possible is Virtual Net Metering (VNM). What Net Metering is to rooftop solar, VNM is to community solar. 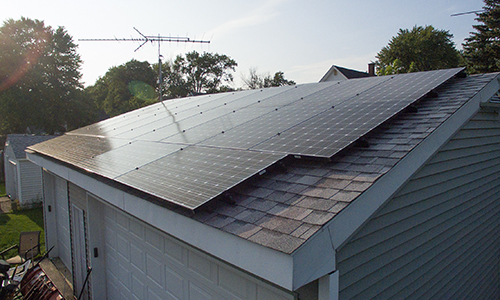 Through this system, which is currently operating in a number of states, consumers can receive the Net Metering credits associated with a renewable energy project even if they are not connected to its electricity meter. These credits then offset their electricity usage as the credits are often worth equal or nearly equal to the cost of electricity from the utility company. This means that, if a participant’s share of a community solar farm is 10 kWh of electricity, it will reduce his or her power bill on a one-for-one basis by 10 kWh. VNM is a powerful system that encourages the use of these projects, but other models are emerging that allow both consumers and developers to get involved in community solar without it. Determining whether or not your home is a good candidate for solar depends on a few factors. Let’s take a look on what you should look out for when qualifying your home for solar. What’s your monthly electric bill? Your current electricity bill is the largest factor in determining how much you’ll save by installing solar. You pay your utility company for every kilowatt-hour (kWh) of electricity you use, and your rate varies significantly depending on where you live. In the Western New York region, customers pay usually 11 to 12 cents per kwh. We base our solar system designs (how many solar panels you will need) on the past 12 months usage of your home. If the home is a new-build or you have just moved in, there is just a little more calculating we need to do with your help to come up with our projections. These high-level production and economic analyses incorporate local electricity rate data and 30 years of local weather station data to give you a customized estimate of what you can expect to save, and just how quickly your investment will pay off. 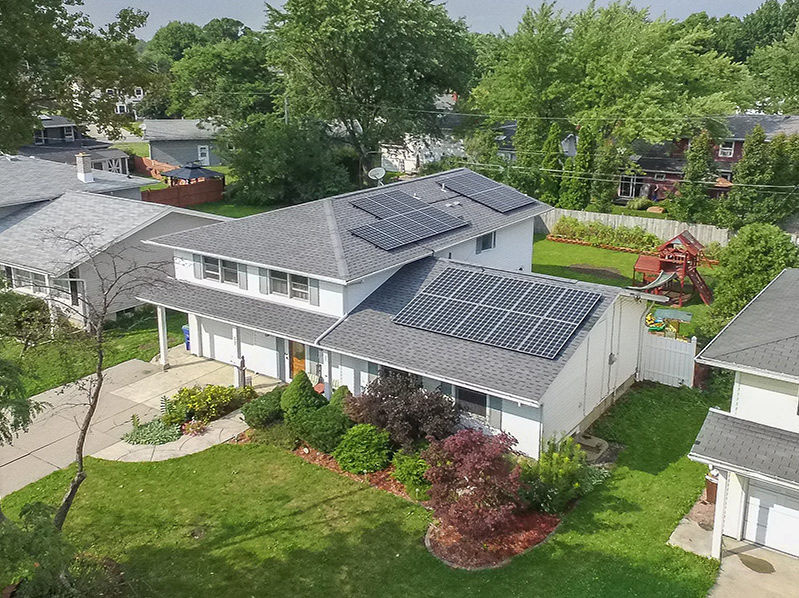 The ideal location for a solar panels on lightly pitched south-facing roof that doesn’t have obstructions such as a chimney, vents or antennas. East- and west-facing roofs are also a good option because they get a lot of sun in the morning and evening hours. If your only available roof area for solar panels are north-facing or you don’t have much unobstructed room for panels, then your home may not be a good candidate. Space permitting, ground mounts may also be a viable solution. 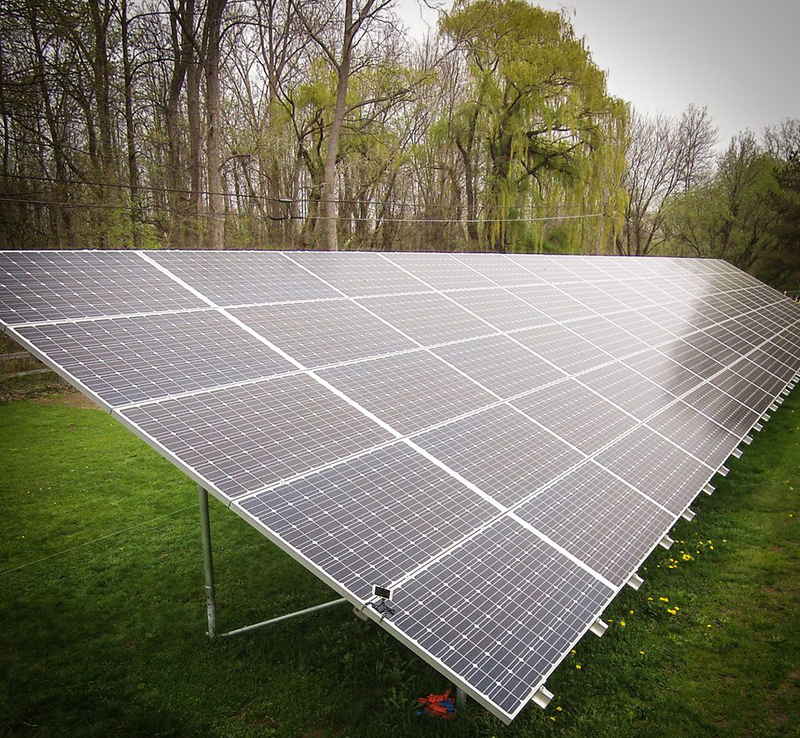 Ground mounts allow for optimal pitch and orientation for the solar array to capture the most sunlight. Installation prices will vary depending on a number of factors. The type of installation choose and the equipment you choose are two large factors in price diffireciateors. Tier one modules are made by bankable companies that have been listed on Bloomberg and have been in 3 years or more. Typically these panels come standard with a 25 to 30 year production warranties carried by the manufacturer. Between the 25% State Tax Credit, uncapped 30% Federal Investment Tax Credit, and NYSERDA (New York State Energy and Research Development Authority) grant, initial system costs can be drastically reduced by up to 60%. CIR advises all prospective buyer to confer with a tax professional to ensure how much of the State and Federal tax credits they are eligible for. A recent report by the U.S. government found that large installers are $2,000 to $5,000 more expensive than smaller local solar companies. Determining whether or not your business is a good candidate for solar depends on a few factors. Let’s take a look on what you should look out for when qualifying your business for solar. Do you own, rent or lease the space in which your business runs out of? If you do not own the building the business operates out of, the Landlord’s permission will be needed in order to move forward with any type of solar project. If you lease or rent and you are unable to get permission from the Landlord, you may also consider opting into a Community Solar array if you are responsible for paying for your electricity. For property owners who have land they are willing to commit to solar, a ground mounted array may be considered. Ground mounts allow for optimal pitch and orientation for the solar array to capture the most sunlight. Flat roofs can also be considered when looking at solar for your business. A ballast mount is a common alternative used on solar installations unable to penetrate either the roof or the ground. On low-sloped, flatter rooftops, many building owners don’t want to poke holes through the roof. Temperamental ground-mounts have some of the same concerns; solar arrays installed on top of landfill caps cannot penetrate that liner. Concrete blocks are placed throughout a project to secure an array to the ground or the roof and prevent wind lift or other movement, all without having to make any (or as many) penetrations. How much are you paying in electric per month? Your current electricity bill is the largest factor in determining how much you’ll save by installing solar. You pay your utility company for every kilowatt-hour (kWh) of electricity you use, and your rate varies significantly depending on where your located and how much electricity your business uses. In the Western New York region, customers pay between $0.03- $0.12/ kWh. Generally speaking, the larger the user, the lower the cost of supply. On the flip slide, once a customer reaches a certain threshold on 1-time electrical usage, they may be switched to a demand use account. These types of accounts can go back to traditional metering after a few consecutive months of lowered usage, which may come with the installation of a solar array. Demand meters can account for roughly 50% of a customer’s bills. Businesses sometimes require a generator back up system. Depending on the equipment type, solar is able to work with existing generator systems without the use of batteries to keep costs low and return on investment high. The Federal government will provide a 30% tax credit, uncapped, on any system regardless of sizes. This offer will be decreased to 26% in 2019, 22% in 2021 and 10% for commercial systems or third-party-owned residential placed in service after 1/1/2022 and 0% for residential host-owned. Excess credits may be carried to the following five years after purchase. CIR advises business owners to confer with their tax professional to ensure that these incentives may be recaptured. 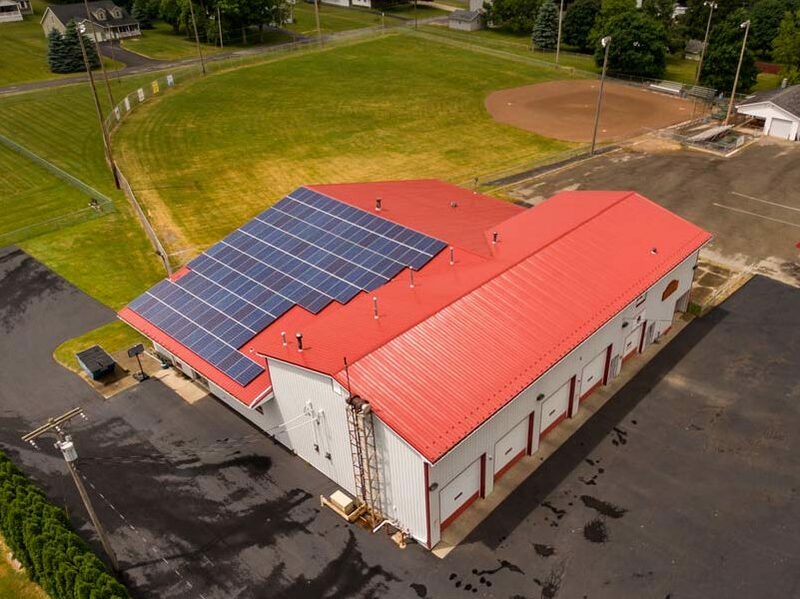 NYSERDA (New York State’s Research and Development Authority) under the umbrella of NY-Sun have designed a system of incentives to subsidize the cost of installation, making the prospect of going solar more attractive to customers. Project incentives will vary by region and current incentive rate. Incentive rates decrease as projects capacity increases. As current capacity stands, projects under the 750 kW cap may fall under the Small Commercial and Non-residential structure subject to $0.45/watt installed. For commercial industrial projects over 200 kW, there is either a Performance Based Incentive (PBI) Monetary or Volumetric crediting method. Currently, Commercial & Industrial (C&I) incentive stands at $0.25/watt up to 7.5MW. Qualifying solar energy equipment is eligible for a cost recovery period of five years. For equipment on which an Investment Tax Credit (ITC) grant is claimed, the owner must reduce the project’s depreciable basis by one-half the value of the 30% ITC. This means the owner is able to deduct 85 percent of his or her tax basis. “Depreciation” is the loss of value that occurs over time when the object purchased is used for a specific use. As a business owner, you are eligible to deduct this “loss in value” from your taxable income when used for your business. If you are running a profitable business, and you can show that the solar power you are generating is for business use (as opposed to personal use), then it may have a strong impact on reducing your bottom line. Given the space on the roof or ground, we may not always be able to cover 100% of a businesses usage. A cost-benefit analysis will be conducted to determine whether the site makes sense for solar given the businesses electrical use. Projects for businesses have a few more options when it comes to how they offset their electricity with solar. If there is enough space on the roof or grounds of the facility, a business is most likely to have a ‘behind the meter’ project, meaning the the project is physically tied into one location and the production is fed back to the existing main service panel and excess eventually is sent to the grid. 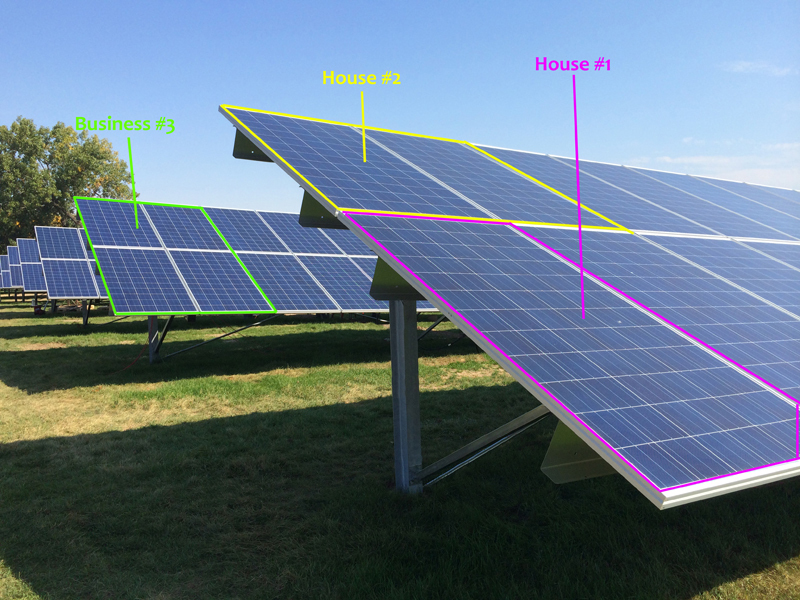 As the power is being generated by the business, not produced on the side of the grid, it is referred to as ‘behind the meter.’ If it is the case that there is not enough space onsite or that the customer owns additional land and is looking to utilize that for solar, they would most likely be a good candidate for a ‘remote net meter’ project. Remote Net-Metering, sometimes referred to as “Virtual Net-Metering”, is an arrangement that allows for the kilowatt hours (kWh) generated from a solar system located at a specific site to be credited towards kWh consumption at a different location. The host meter is where the credits are being produced whereas the satellite meters are where the excess generation is being sent to. These accounts all have to be with the same utility and within the same utility load zone to be eligible for this type of crediting. Community solar allows people to go solar if their property isn’t a good fit for an installation. According to data from the National Renewable Energy Laboratory, the primary US research and development center for renewable energy, only a quarter of commercial and residential rooftops are suitable for solar panels. If that’s the case, it provides an opportunity for community solar projects to drive the initiative of shared solar energy. 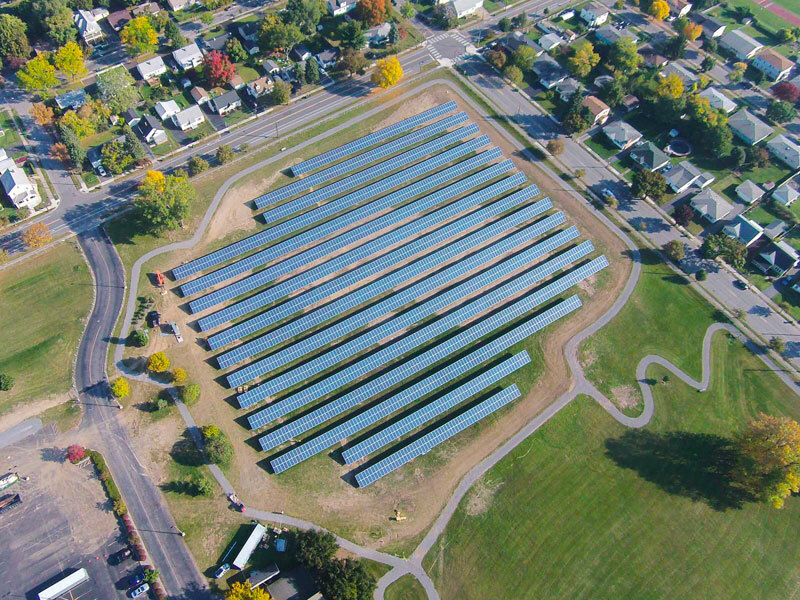 Community solar also known as Community Distributed Generation (CDG) is when a large solar array is built and hosted by a nearby landowner where interested customers can purchase a small percentage of the array. The array will be comprised a variety of different members. Residential, commercial, and industrial energy users qualify to participate, renters and owners alike. All members must be located in the same utility territory where the project is located. Any member looking to patriciate must have at least an allocation of 1,000kWh annually on their electric bill. Participating members can pre-purchase, lease, enter into a PPA to become a part of the community solar array. The members within the community array receive net metering credits from the array which are deducted from their current electric bill. Members are not required to have any physical equipment at their home or business. Everything is sent electronically via the accrued net metering credits. In communities across the United States, people are seeking alternatives to conventional energy sources. There are 24 states and climbing that currently are participating in some sort of shared renewables program. The universality of shared renewables where the project is being pooled by investments from multiple members of a community to provide power and/or financial benefits can be seen all over the world. Whether you aim to increase energy independence, hedge against rising fuel costs, cut carbon emissions, help increase local jobs, or are looking to community-scale renewable energy projects for solutions other than conventional energy sources, your local community can benefit too. Advances in solar technology, federal and state tax incentives, and creative new financing models have made solar projects including community solar projects, more financially feasible. We are currently seeking members for the WNY area in both National Grid and NYSEG territories. Fill out the form and we’ll let you know when Community Solar is available in your area.